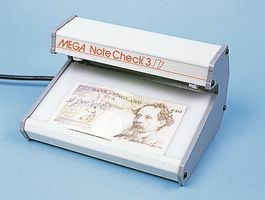 LAMP WITH BUILT-IN BLACK LIGHT UV PROJECTOR, Compact lamp with 135mm UV neon tube which allows easy checking of bank notes, stamps and valuable documents. Built-in torch and foldaway stand. One of the world's favorite permanent marker pens at a bargain price, dispatched very quickly. Suitable for permanently marking most hard-to-write-on surfaces. - Sold as a single marker.